200 years is a long time. That’s how long Ardbeg distillery on Islay has been commercially and legally producing whisky. In Barnard’s The Whisky Distilleries of the United Kingdom he says that, prior to 1815, the place was a ‘noted haunt of smugglers… a nest of illicit traffickers’. Once this ring of bandits was finally smashed and scattered to the winds, the location of their operations seemed a good place to set up a legitimate camp. It became the site of Ardbeg Distillery. The founders of the distillery, in 1815, were the McDougalls of Ardbeg, although it’s suggested that a fellow called Alexander Stewart was working there legally in 1794. Only a couple of decades later, Ardbeg was making around 26,000 gallons (getting on for 120,000 litres) of spirit a year. Today, 200 years later, Ardbeg knocks out an impressive 1,250,000 litres of spirit each year. 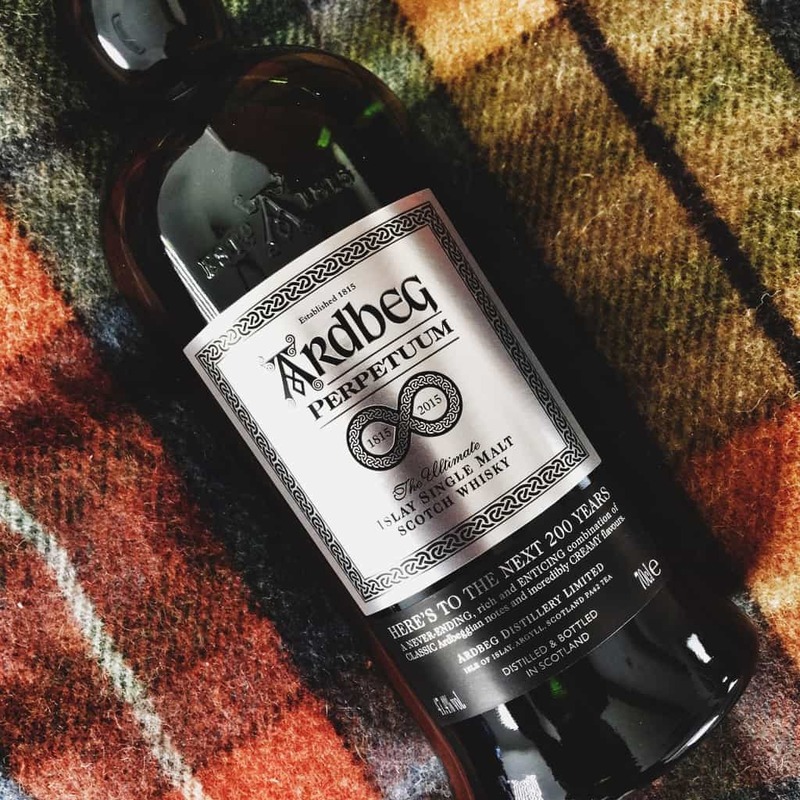 For a short while, though, things didn’t look great – Ardbeg was closed in 1989, and then again in 1996; in fact since it had been owned by Allied Domecq PCL, who also owned Laphroaig, Ardbeg had been on thin ice. Glenmorangie PLC bought Ardbeg in 1997 and breathed new life into the brand. For those of you who have been there, you’ll note everything is in nice shape, there’s a nice visitor centre and a cracking restaurant. And then the distillery began to win awards. They were putting out incredible whiskies from the really good standard 10 Year Old through to Ardbeg Uigeadail and Corryvreckan, and special things like Lord of the Isles. For years everyone was happy! 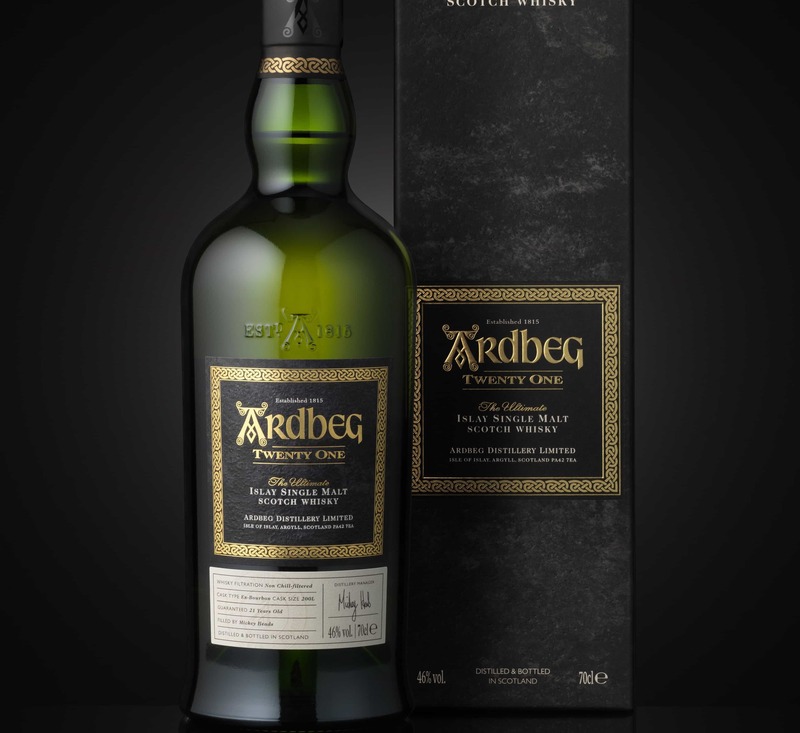 Then Ardbeg ruined it all by putting out ridiculous, hyperbolic marketing, which has largely resulted in seeing their bottles bought mostly to be put on auction sites. It’s not significant, but to some of the longstanding faithful it has taken the shine off the brand. Anyway, as part of the 200th anniversary of Ardbeg Distillery, some new whiskies are going to be released. One of them is Ardbeg Perpetuum. I don’t know how old it is, as it’s a No Age Statement whisky – people do moan about the lack of numbers these days, but they didn’t moan when Uigeadail and Corryvreckan were being lauded all over the world. I don’t know what casks were used, though their website suggests Sherry casks were in the recipe. 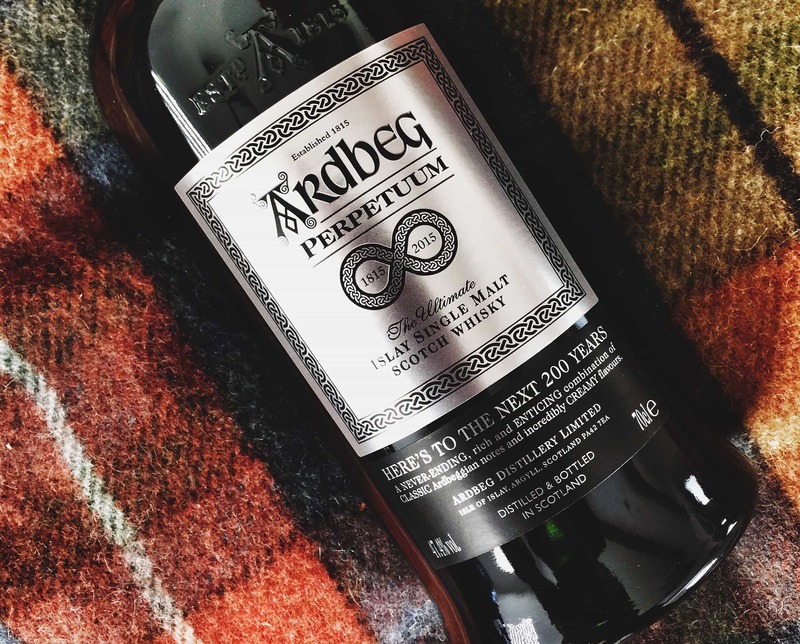 I do know that a bottle of Ardbeg Perpetuum costs almost £90, and is bottled at 47.4% ABV. Colour: yellow-gold to old-gold. On the nose: well peat, of course. But it’s a strange peat. Not really the lovely sweet peat I was expecting. It’s a harsher, more briny, more malty kind of peat. Lemon. Cigarette ash. Lapsang souchong. Decayed wood, and burnt rubber. It’s like a fiery shipwreck, or a seaside pub ashtray. In the mouth: a very ashy peat again. At first I thought it a bit crude and bitter, but in opened out a little to provide some nicer notes. Roast ham glazed in marmalade. Barbecued burgers. Ground coriander. Touch of HP sauce. A few lingering esters – apples, more cider actually. A little oily, but not much. A very short, briny finish. Needless to say, don’t waste your money on Perpetuum. I’m still circling around the Perpetuum. But you’re spot on – the Beist is perfect just like its sibling Corryvreckan. Hi Linda – glad to know I’m not alone in my love of Beist! Corryvreckan is very good too, you’re right. So after what must be one of the best examples of modern whisky market of recent times, the Ardbeg Galileo has finally landed. My own..